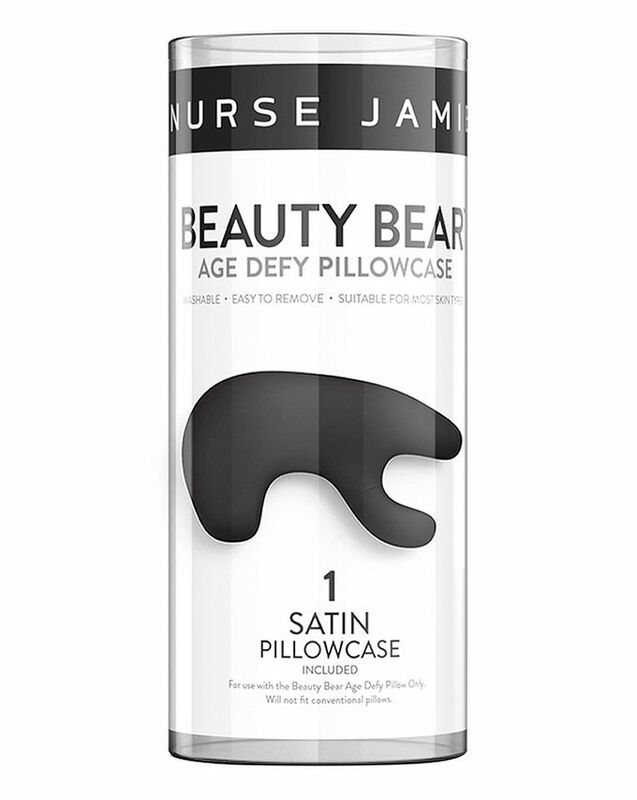 So, you’ve bagged yourself a bestselling Beauty Bear Age Delay Pillow – now all you need for totally peaceful, wrinkle-free rest is some replacement pillowcases. Available in four fabulous colours, each has a smooth satin finish to support even the most delicate of skin types. With Nurse Jamie’s super sought-after anti-ageing pillow, you can fight wrinkles all night long. The innovative pillow has a unique U-shape design that cradles the face and neck, improving the quality of your rest and helping to minimise the sleep lines that can be etched into the skin at night. To add some colour variety and ease the urgency of your laundry load, these replacement pillowcases are just the ticket. Available in four fabulous colour options – regal ‘purple’, crisp, fresh ‘white’, slick ‘midnight grey’ and glamorous ‘leopard’ – each pillowcase has a smooth, silky satin finish that will support even the most delicate of skin types. This is the 3rd BB pillow case I have bought. The 3rd has split at the seam along the zip, which is what happens when you design in USA and manufacture in China on a machine, then charge a silly amount to make yourself a nice tidy profit- yes Nurse Jamie i am talking to you!. If it wasn't for the fact my neck and spine ( which is badly damaged) never mind my face loves the actual pillow I would change to a different design of neck support pillow. So, although it does the job (poorly IMO) as it should be made of real silk not cheap satin I am left having to re-buy these every time cult beauty has a sale. I LOVE the beauty bear pillow, it has done wonders to ease my neck ache but this pillowcases are a real shame. The other reviewer Badijiebasen was far too kind with the rating, but I agree with their comments. I have two of these - the zip on the first one broke after a month (so I just leave it gaping open when I use it now which is frustrating) and the second one started splitting/fraying at a seam also after a month (but I guess I should be grateful that the zip on it still works, hah!). Plus - they are made from pure polyester which I was unpleasantly surprised by since it doesn't state so in the description. I have recently had some silk ones made to fit instead so I can again enjoy using my excellent beauty bear pillow!